Enjoy The Formulators Call below (inside the round audio icon)! Item is currently out of stock and does not allow backordering. Please check back later! How does Essanté Organics SUPER PLANT STEROLS work? 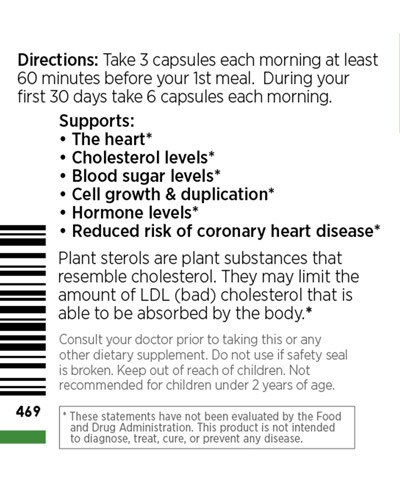 Plant sterols are plant substances that resemble cholesterol. They support cholesterol levels by limiting the amount of LDL (bad) cholesterol that is absorbed by the body. Sprouting not only supports the heart and cholesterol levels it also increases the overall protein and nutrient content compared to seeds that are not sprouted. Sprouting delivers many added health benefits (see below). Sprouting is the process of turning a dormant seed into a nutritional powerhouse. Sprouting multiplies the health benefits of the product. To sprout seeds, they are mixed and rinsed multiple times, in liberal amounts of purified water, then drained thoroughly so they can breathe while growing in a sterile sprouting device at an optimal temperature of 70 degrees. Once a seed has soaked up its fill of water it changes from a dormant state to a living nutritional phenomenon, bursting with its own vital digestive enzymes and amplified nutrition profile. For example, a sprouted seed can look like a fat, wet piece of barley with a tiny white tail popping out of its narrow tip. Even soaked seeds without sprout tails deliver the same amplified nutrition. The younger the sprout the more concentrated its nutrition profile is. What are the health benefits of sprouts? Science shows the process of sprouting multiplies and amplifies the health benefits of the product. Sprouting multiplies the quantity of nutrients, providing the body with increased amounts of energy, immunity, metabolism and healthy cell growth. Sprouting dramatically increases the density of vitamins and minerals: Vitamin E increases 300%. Vitamin C increases 600%. Energy delivering B vitamins (including Folate and B17 in wheat sprout) increase 100%. Vitamin B17, in wheat sprout, is often prescribed by doctors for cancer prevention and B17 is 100% higher in wheat sprout compared to wheat that is not sprouted. Sprouting produces up to 300% more proteins; proteins are responsible for improving metabolism and boosting energy levels. Sprouting causes a higher ratio of protein to carbohydrates. For example, wheat that is not sprouted is rich in carbohydrates that can cause excessive mucus and in turn a stuffy nose, a chronic cough, bad breath, crusty eyes, etc. Sprouting causes the seed’s carbohydrates to be converted into natural sugar which decreases the carbohydrates and in turn decreases the amount of mucus that can be formed as a result. Sprouting causes a greater concentration of antioxidants. Sprouting improves blood sugar levels because sprouts have a far milder effect on glucose and insulin levels compared to beans, rice, seeds and grains that are not sprouted. Sprouting dramatically lowers lectin and gluten levels, which have been linked to leaky gut, chronic inflammation and autoimmune diseases. 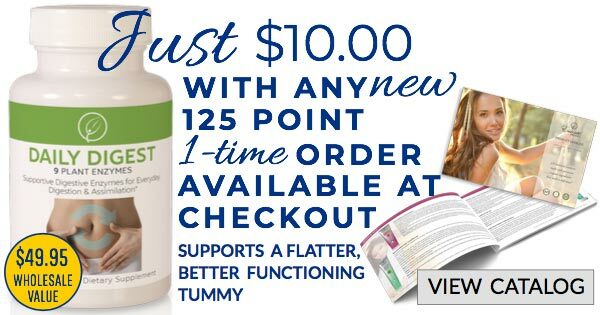 Sprouting activates and increases fundamental enzymes for easier and more complete digestion. Sprouts may be less allergenic to people with grain protein sensitivities including gluten. Germination (sprouting) activates valuable enzymes which are fundamental in daily bodily functions, including proper and complete digestion. If you have celiac disease, ask your doctor if Super Sprout Sterols and a diet of sprouted seeds and grains is a good choice for you. Consult your doctor before beginning this or any other supplement. Eye Health - Folate in soy sprouts support macular health. Immunity - High iron in soy sprouts strengthen cells and kill damaging pathogens. Strong Bones - Manganese with the Vitamin D and minerals in soy sprout improve bone mass. According to the American Society for Nutrition the Vitamin K in Soy Sprouts may help reduce the onset of heart disease by inhibiting the buildup of calcium in blood vessels; in turn this can lower the risk of cardiovascular disease. Studies show up to 1 in 2 women and 1 in 4 men over the age of 50 will break a bone due to osteoporosis. 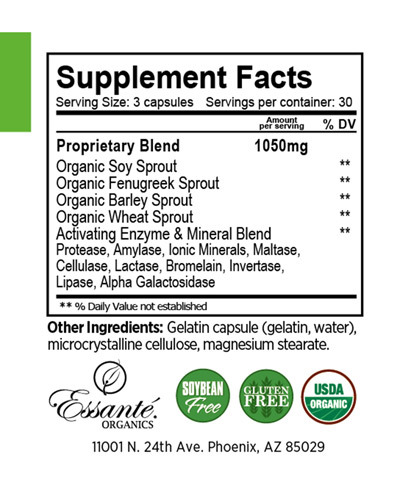 The Manganese in soy sprouts builds strong bones, especially when it’s coupled with calcium, vitamin D, magnesium, zinc, copper and boron (all of which are in Essanté Organics SUPER SPROUT STEROLS). Additionally this combination has shown to improve bone mass in women. Human breast milk is the optimal food for human newborns because it’s the highest source of nutrition for a child’s development. When a nursing mom finds she has insufficient breast milk production she can turn to prescription drugs or fenugreek (a safe, natural alternative) with her doctor’s permission. One 14-day study in 77 new mothers found consuming fenugreek herbal tea increased breast milk production, which helped the babies gain more weight. Studies report the volume of pumped breast milk increased too, by more than 50%. The current research is encouraging, but always discuss any concerns about breast milk production with your midwife or doctor. One of the most common reasons men use fenugreek supplements is to boost their testosterone level. Some studies found fenugreek supports increased testosterone levels, libido and weight lifting performance. In one study, researchers provided 15 of 30 college-age men 500 mg of fenugreek per day along with a weight lifting program. The 15 who received the placebo had a slight decline in testosterone. The 15 who received the fenugreek supplement had an increase in testosterone, a reduction in body fat, and they reported improved strength and sexual function. An impressive research study on fenugreek analyzed its affects on metabolic conditions including diabetes. It seems to benefit both type 1 and type 2 diabetics, along with improving general carb tolerance. In one study, type 1 diabetics added 50 grams of fenugreek to their lunches and dinners for 10 days. A 54% improvement and clearance was found in each person’s 24-hour urinary blood sugar test, along with an additional reductions in total and LDL cholesterol. A study including non-diabetic participants was performed where fenugreek caused a 13.4% reduction in blood sugar levels 4 hours after consumption. These benefits may occur due to fenugreek's ability to improve insulin function. 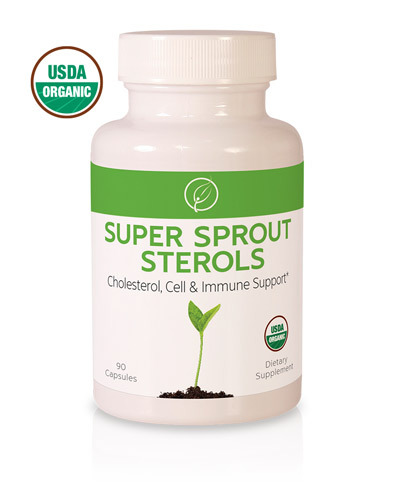 There is some evidence fenugreek sprout can lower cholesterol and triglyceride levels. 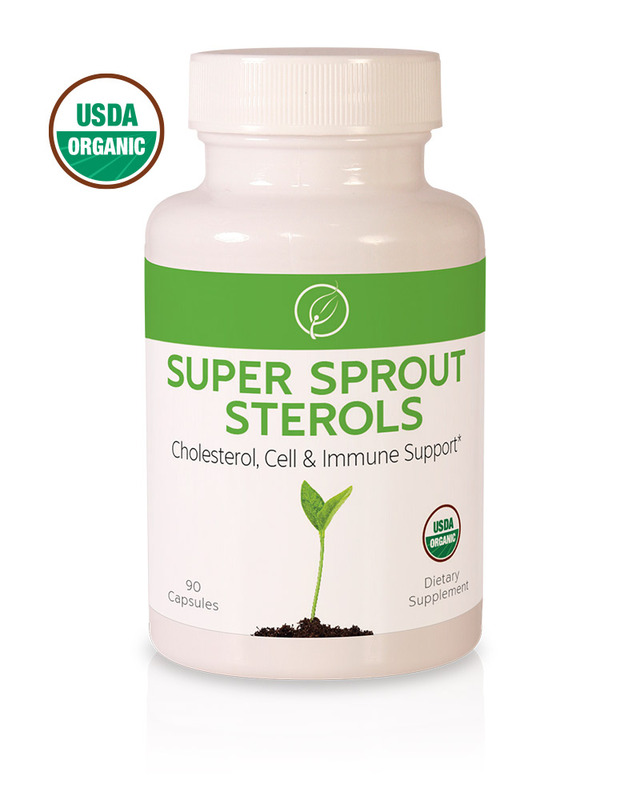 The Food and Drug Administration (FDA) agrees that sprouted plant sterols, including fenugreek, can lower the risk of Coronary Heart Disease (CHD). This is one of the only, if not THE only health claim the FDA permits on labels and information pertaining to foods and supplements that contain plant sterols. A pilot study on people who suffer with frequent heartburn found fenugreek reduced their symptoms. Interestingly, the fenugreek effects matched those of antacid medications. Fenugreek has the ability to lower blood sugar levels, and for this reason it should be used with caution if you are taking diabetes medication or other supplements that lower blood sugar levels. Always check with your doctor before starting this or any new supplement. National Cholesterol Education Program (NCEP) Expert Panel on Detection, Evaluation, and Treatment of High Blood Cholesterol in Adults (Adult Treatment Panel III). Final Report. NIH Publication No. 02-5215. September 2002. Katan MB, Grundy SM, Jones P, Law M, Miettinen T, Paoletti R; Stresa Workshop Participants. Efficacy and safety of plant stanols and sterols in the management of blood cholesterol levels. Mayo Clinic Proc. 2003;78(8):965-78. Awad AB, Fink CS. Phytosterols as anticancer dietary components: Evidence and mechanism of action. J Nutr. 2000;130(9):2127-30. Piironen V, Toivo J, Puupponen-Pimia R, Lampi AM. Plant sterols in vegetables, fruits, and berries. J Sci Food Agric. 2003;83:330-337. Cater NB, Grundy SM. Lowering serum cholesterol with plant sterols and stanols: Historical perspectives. J Postgrad Med. 1998;6-14. Plat J, Mensink RP. Plant stanol and sterol esters in the control of blood cholesterol levels: mechanism and safety aspects. Am J Cardiol. 2005;96(1A):15D-22D. Charest A, Desroches S, Vanstone CA, Jones PJH, Lamarche B. Unesterified plant sterols and stanols do not affect LDL electrophoretic characteristics in hypercholesterolemic subjects. J Nutr. 2004;134:592-595. Lewis C. Health claims that could lower heart disease risk. FDA Consumer Magazine. 2000. Accessed October 4, 2006. De Caterina R, Zampolli A, Del Turco S, Madonna R, Massaro M. Nutritional mechanisms that influence cardiovascular disease. Am J Clin Nutr. 2006;83(suppl):421S-426S. Bergmann K, Sudhop T, Lutjohann D. Cholesterol and plant sterol absorption: Recent insights. Am J Cardiol. 2005 Jul 4;96(1A):10D-14D. Review. 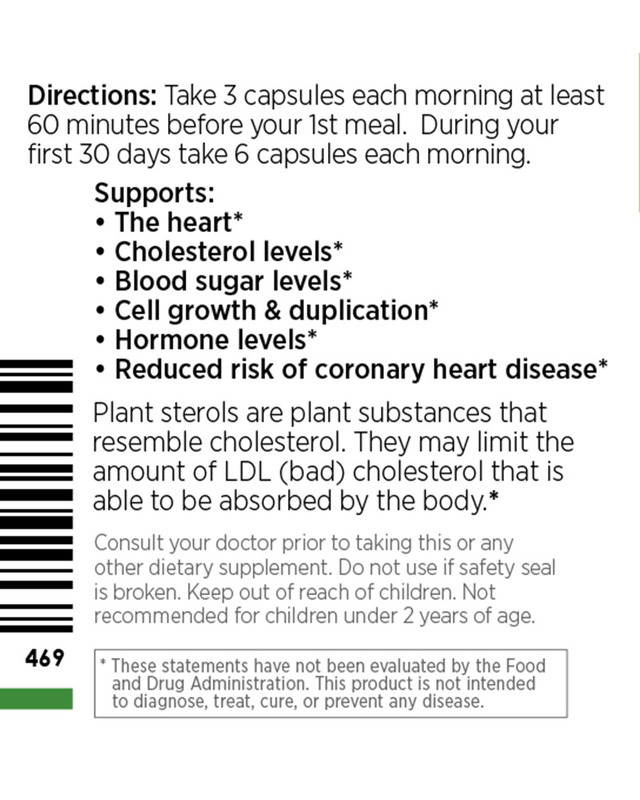 Schweitzer C, Moran K, Timmermann F. Phytosterols: Esterified phytosterols are safe and approved by FDA for a cholesterol-lowering claim in some foods. Nutra Wrld. 2002; 40-3. Pouteau EB, Monnard IE, Piguet-Welsch C, Groux MJA, Sagalowicz L, Berger A. Non-esterified plant sterols solubilized in low fat milks inhibit cholesterol absorption : A stable isotope double-blind crossover study. Eur J Nutr. 2003;42(3):154-64. Noakes M, Clifton PM, Doornbos AM, Trautwein EA. Plant sterol ester-enriched milk and yoghurt effectively reduce serum cholesterol in modestly hypercholesterolemic subjects. Eur J Nutr. 2005;44(4):214-22. Devaraj S, Autret BC, Jialal I. Reduced-calorie orange juice beverage with plant sterols lowers C-reactive protein concentrations and improves the lipid profile in human volunteers. Am J Clin Nutr. 2006 Oct; 84(4):756-61. Deveraj S, Jialal I, Vega-Lopez S. Plant sterol-fortified orange juice effectively lowers cholesterol levels in mildly hypercholesterolemic healthy individuals. Arterioscler Thromb Vasc Biol. 2004 Mar;24(3):e25-8. Bhattacharya S. Therapy and clinical trials: Plant sterols and stanols in management of hypercholesterolemia: where are we now? Curr Opin Lipidol. 2006;17(1):98-100. Lichtenstein AH, Appel LJ, Brands M, Carnethon M, Daniels S, Franch HA, Franklin B, Kris-Etherton P, Harris WS, Howard B, Karanja N, Lefevre M, Rudel L, Sacks F, Van Horn L, Winston M, Wylie-Rosett J. Diet and lifestyle recommendations revision 2006: a scientific statement from the American Heart Association Nutrition Committee. Circulation. 2006;114:000-000. Moriusi KG, Oosthuizen W, Opperman AM. Phytosterols/stanols lower cholesterol concentrations in familial hypercholesterolemic subjects: A systematic review with meta-analysis. J Am Coll Nutr. 2006;25(1):41-8. Nauman E, Plat J, Mensink RP. Changes in serum concentrations of noncholesterol sterols and lipoproteins in healthy subjects do not depend on the ratio of plant sterols to stanols in the diet. J Nutr. 2003;133(9):2741-7. Neil HAW, Meijer GW, Roe LS. Randomised controlled trial of use by hypercholesterolaemic patients of a vegetable oil sterol-enriched fat spread. Atherosclerosis. 2001;156(2):329-37. Goldberg AC, Ostlund RE Jr, Bateman JH, Schimmoeller L, McPherson TB, Spilburg CA. Effect of plant stanol tablets on low-density lipoprotein cholesterol lowering in patients on statin drugs. Am J Cardiol. 2006;1:97(3):376-9. Blair SN, Capuzzi DM, Gottlieb SO, Nguyen T, Morgan JM, Cater NB. Incremental reduction of serum total cholesterol and low-density lipoprotein cholesterol with the addition of plant stanol ester-containing spread to statin therapy. Am J Cardiol. 2000;86:46-52. Miettenen TA, Gylling H.Plant stanol and sterol esters in prevention of cardiovascular diseases: A review. Int J Clin Pharmacol Ther. 2006;44(6):247-50. Lau VWY, Journoud M, Jones PJH. 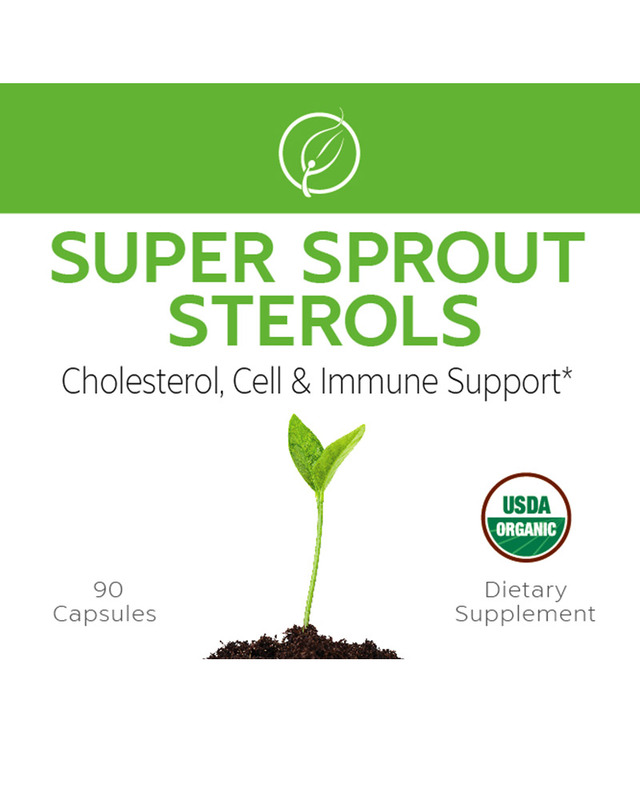 Plant sterols are efficacious in lowering plasma LDL and non-HDL cholesterol in hypercholesterolemic type 2 diabetic and nondiabetic persons. Am J Clin Nutr. 2005;81(6):1351-8. Cater NB, Garcia-Garcia AB, Vega GL, Grundy SM. Responsiveness of plasma lipids and lipoproteins to plant stanol esters. Am J Cardiol. 2005;4:96(1A):23D-28D. 30 Normen AL, Brants HAM, Voorrips LE, Andersson HA, van den Brandt PA, Goldbohm RA. Plant sterol intakes and colorectal cancer risk in the Netherlands Cohort Study on Diet and Cancer. Am J Clin Nutr. 2001;74(1):141-8.